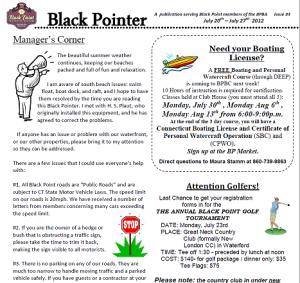 We will post issues of the Black Pointer here throughout the summer. Please click the dates below to view past issues. If you have information to submit to the editor, please email her.